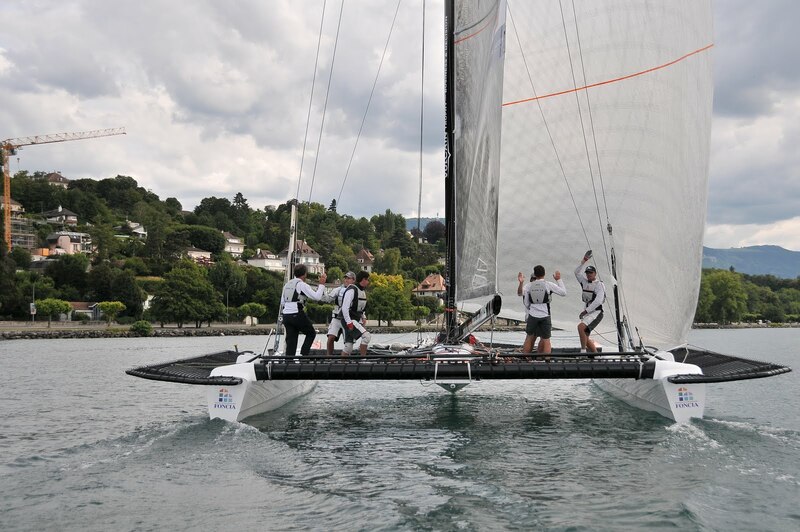 Great day for Artemis Racing today on Lake Geneva. With Torbjorn Tornqvist at the helm, we finished second in the 28 mile "offshore" race known as the "Geneve-Rolle-Geneve". 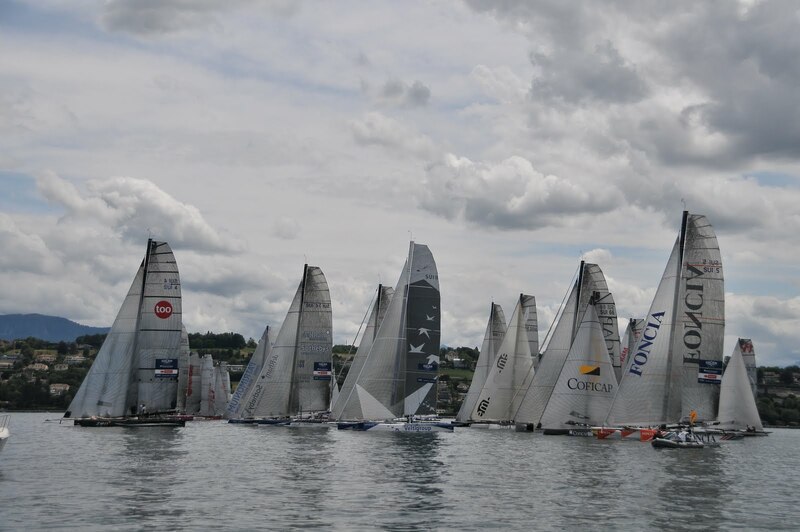 Three hundred boats participated in the classic which has taken place for more than 60 years. The starting line was one mile long and divided into three parts to spread the fleet. There was less than 2 knots of wind at the start and the fleet made slow progress during the first hour. Foncia, with Michele Desjoyeaux at the helm, took the lead early and never relinquished it. Lady Cat of Donna Bertarelli was up at the front for the first half of the race along with Julius. But it was the run back to Geneva that proved to be decisive. Yvan Ravussin, headsail trimmer onboard Artemis Racing, called for sticking close to the western shore on the return and this prove to be a winning move. 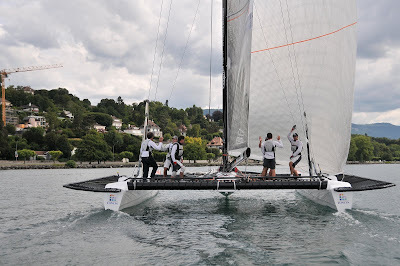 Yvan has lived and raced his whole life on Lake Geneva and knows the winds as well as anyone. Yvan is also the world speed record holder for sailing as part of the Banque Popular crew that set the record of 908 miles in 24 hours a few years ago while setting the transatlantic record at 3 days 15 hours. On the run back, the wind built to 11 knots and we were hitting 21 knots of boat speed. Torbjorn's was not able to hide his grin and that was before we passed 8 boats to finish second! Today's race had a 1.5 factor which is nice. 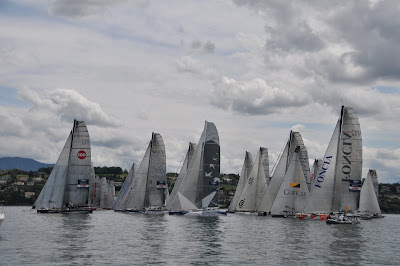 Tomorrow and Monday, racing continues in front of Geneva with windward leeward courses, up to four races per day.